Avendus Capital, Inc advises Nagarro Inc on its strategic relationship with Allgeier Holding AG. Nagarro, Inc., a high-end software development firm specializing in complex projects, has announced a strategic relationship with Munich-based Allgeier Holding AG (Frankfurt Stock Exchange: AEI), one of the leading IT consultancy and service companies in German-speaking countries. As per a mutual agreement, Allgeier has agreed to acquire all outstanding shares in Nagarro and major Nagarro shareholders have acquired a stake in Allgeier. This strategic alliance will enable customers worldwide to benefit from the two companies’ combined scale, technical capabilities and global service footprint. This will be accomplished through joint service offerings and delivery models, as well as through coordinated marketing and sales activities. Avendus Capital Inc, acted as financial advisor to Nagarro Inc.
Nagarro builds complex, business-critical products and applications that help companies meet their core business goals and gain competitive advantage. Nagarro’s complete commitment to the success of every project, unmatched engineering skill and quality, and deep domain expertise in numerous industries build on a shared vision of success between Nagarro and each of its customers. 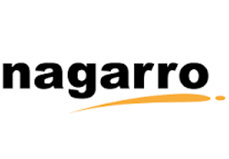 Founded in 1996, Nagarro has offices in the US, Mexico, Germany, Sweden and India. Allgeier Holding AG, with its headquarters in Munich, is one of the leading consultancy and service companies in the German-speaking countries. With their units IT Solutions, IT Services and Recruitment, Allgeier offers a comprehensive range of services from the initial concept through implementation to the operation of IT landscapes. Allgeier Group has 16 operational subsidiaries with over 1,300 employees as well as more than 1,400 freelance experts serving some 3,000 customers in virtually every area of the economy. In Germany, the Group runs 52 subsidiaries as well as 18 offices in Belgium, France, the Netherlands, Austria, Romania, the Czech Republic, Switzerland and China. During the 2010 financial year, Allgeier achieved sales of EUR 308.7 million. According to Lünendonk's market segment survey in 2010, Allgeier ranks no. 2 among the medium-sized IT service companies and no. 2 among IT recruitment companies in Germany. The company is listed on the official market (General Standard) at the Frankfurt Stock Exchange. Avendus Capital Inc. is the wholly owned US subsidiary of Avendus Capital Pvt. Ltd. ("Parent") which, together with its group companies, is a financial services firm with a strong transaction record and established relationships with companies and investors. Avendus Capital, Inc. uses its domain and industry focused approach for M&A advisory and private placements for growing companies. The Indian Parent also offers services* such as structured finance advisory, equity capital markets, institutional broking, alternative asset management and wealth management. Headquartered in Mumbai, Avendus Capital Pvt. Ltd. has offices in New Delhi and Bangalore; and wholly owned subsidiaries in New York and London.